Love is a strange thing and you can’t go against love. Love doesn’t choose the time and the place, and when you fall in love you can’t think straight. For some people, this is strange and outrageous, but for others, this is something normal. You can be the judge and say is it normal that someone gets engaged while still being married to someone else. For “normal” people that can be shameful, but for celebrities, it’s obviously a common thing. The public doesn’t often approve this kind of behavior and the celebrities that do such things are often criticized by many. When something like this happens many get hurt, but again if it is love what can we do about it? But love is not always the reason, and there are celebrities that just wanted to have fun, and that’s not okay. You know how Angelina Jolie’s and Brad Pitt’s relationship started, but Angelina was the “other woman” many times before that. Kristen Stewart is another serious celebrity cheater, but she’s not the only one. There are those how love to hide their affairs and there are those that do everything publicly like it’s not a big deal. If you want to know more about who cheated who, who’s the famous “homewrecker” and every other dirt we have on worlds famous stars, keep reading. We all know that Britney Spears was married to her backup dancer Kevin Federline and their relationship was very strange, but what’s stranger than that is how they started their relationship. The two of them met on Spears’ 2000 tour. They didn’t start their love affair right away, but it did happen in April of 2004. Everything would be great only if Federline wasn’t engaged to Shar Jackson who was pregnant with his child. There was a source very close to Britney that said that she was only “just having fun” with Kevin. But Shar Jackson had an interview where she said that she was certain that Britney knew what she was doing, and she said that she broke their family. But that didn’t matter to the two love birds, because they soon began shooting their reality TV show, Chaotic. Only a few months after that they announced that they got engaged, and it was just a few days before Shar Jackson gave birth to their second child, Kaleb. But their marriage ended only two years later when Britney filed for a divorce. Ben Affleck and Jennifer Lopez met at the filming of the movie Gigli, and they almost immediately fall in love. Jennifer at that time was married to Cris Judd. The relationship between Affleck and Lopez started as an affair. Jennifer eventually divorced from Judd, but even before that Ben Affleck was talking about Jennifer in some interviews. In July 2002 Jennifer filed for divorce from Judd, and she was engaged to Affleck in October, with an astonishing 6.1-carat diamond ring. And her divorce from Cris Judd was finalized in June of next year. Their relationship was very interesting, and the media loved writing about the two of them. Unfortunately, they never ended up marrying each other. 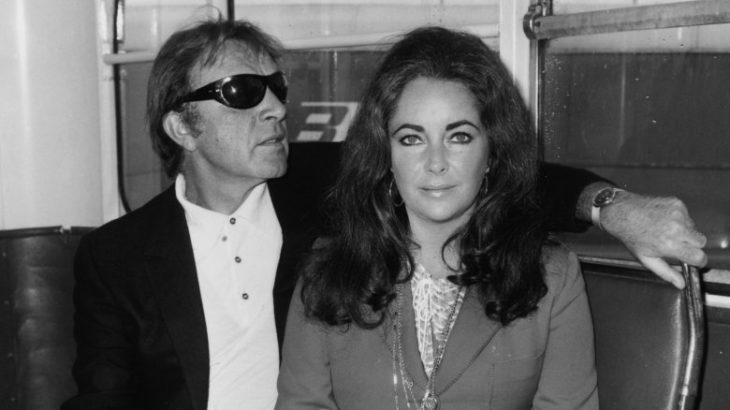 Elizabeth Taylor wasn’t a saint at all and she had a reputation of a maneater. She was married eight times. And one of her marriages started as an affair. While she was married to Eddie Fisher, she met Richard Burton, who was married to Sybil Burton. The two of them started seeing each other and they didn’t hide it at all. They met at the set of Cleopatra, and their affair lasted throughout the entire movie shoot. And the movie shoot lasted over two years. The worst thing about the whole affair is that Taylor’s husband was there the entire time of the shoot, in Rome, and he even put a hold on his career to be there with her. Everyone knew about the affair between Liz and Burton, and everyone was talking about it. The only person who didn’t believe that there is an affair was Fisher, and he even said at a press conference that everything was just a rumor and the allegations were ridiculous. But at one point Fisher became aware of the affair and he even pointed a gun at Taylor’s head, but everything turned out well in the end. He said that he is not going to kill her because she is too beautiful. Both Talyor and Burton divorced their partners and they married on March 15th, 1964, only nine days after Taylor divorced Fisher. So, that means that the two of them were engaged while Taylor was still married to Fisher. The breakup between Brad Pitt and Jennifer Aniston was something that everyone talked about. And everyone seemed to agree on something, that Angelina Jolie was the „other woman“ and the one responsible for their split. But this isn’t the first time Angelina was the „other woman“. It happened many years ago. She met Billy Bob Thornton on the set of Pushing Tin, and the two of them had an affair. At that time Billy Bob was in a relationship with Laura Dern. The two of them weren’t married, but they lived together, and it seemed like their relationship was serious. Everyone was shocked when they heard that Thornton and Jolie got married in Las Vegas, in May 2000. It would be such a shock if Thornton wasn’t still in a relationship with Laura Dern. She said in one interview that she left their home to work on a movie, and while she was away her boyfriend got married. The worst thing is that she never heard from him again. Angelina and Billy Bob wore vials of each other’s blood around their necks on their wedding, they trade underwear and all in all their relationship was strange, bizarre and chaotic. Taking everything into consideration it is not strange that their relationship and marriage didn’t last too long. The two of them divorced in 2002, and it was because Thornton didn’t know how to behave in their relationship. But one time he told that he loved Jolie very much and that he is very sad because of how things ended. Firstly Jennifer Lopez and Marc Anthony dated for a short period of time, but he ended up marrying Miss Puerto Rico, Dayanara Torres. And the wedding ceremony was in Las Vegas, and everything was a surprise because he orchestrated everything the day before. Their marriage lasted for four years, but nothing could’ve calm Anthony’s impulsive nature. They’ve divorced in 2004, but even before their marriage was finalized he was seeing Jennifer Lopez once again. Just a few days after his divorce he married Jennifer in another secret ceremony in June 2004. And every one that was at the wedding didn’t even know that it was a wedding, because once again it was a surprise. But once again, it didn’t work out for them, they divorced seven years later. 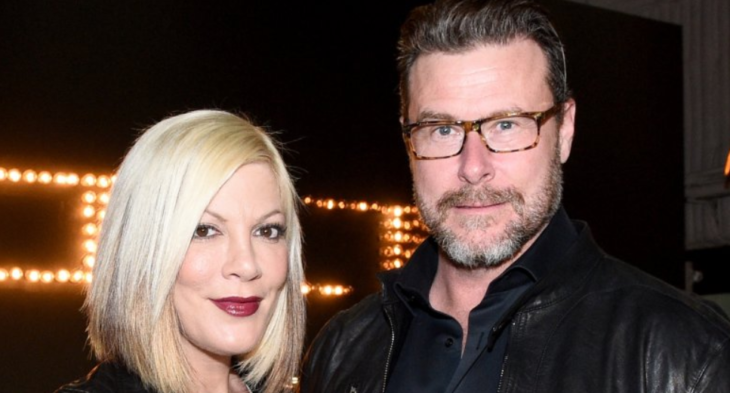 Tori Spelling met Dean McDermott in Ottawa while they were filming a movie, Mind Over Murder. Spelling was married to Charlie Shanian, and Dean was married to Mary Jo Eustace. The rumor has it that they started their affair the first night they met. And of course, the two of them got engaged while still married to other people. It was very movie-like and romantic, on a horse-drawn carriage, on Christmas Eve. McDermott said that he was never happier in his life. But despite all of the romantic moments, it’s still not okay what they did to their significant others. Just half month after Spelling divorced Charlie, she married McDermott, on May 7th, 2006. But nothing was perfect, except their engagement, because after the pair got married the drama started. They’ve had financial issues, McDermott cheated on Spelling, and he even went on rehab. Was it Karma or not, but the pair had a lot of troubles. Tori said that she was devastated at some point, but she couldn’t blame Dean, because she knows what were the circumstances of the start of their relationship. But despite all of that, the couple is still married and they have five children together. Alicia Keys didn’t like rapper Swizz Beatz at first. But she still started dating him in 2008, while he was still married to Tifrere. After two years, the rapper proposed to her in May, a couple of days after he finally divorced from Tifrere. Tifrere wasn’t happy about the whole situation and she even said that Alicia destroyed a family. But when the Swizz and Alicia married in August of 2010, she somehow managed to calm down. She said that time helped her heal. 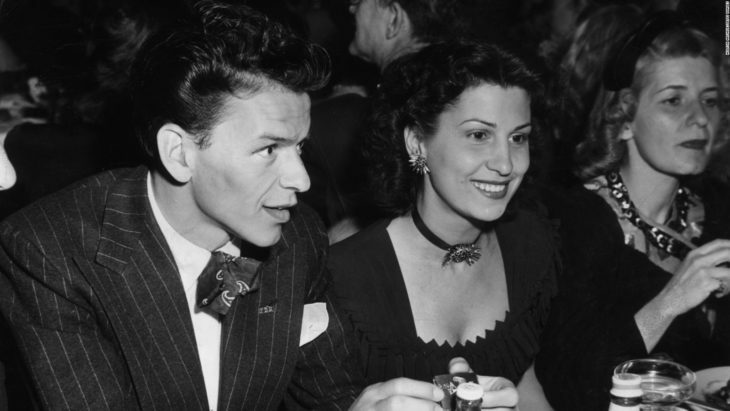 Frank Sinatra married Nancy Barbato in 1939, only year after he got arrested for adultery. Nancy was a good wife and she tried with every atom in her body to keep him away from other women. She even hand sewed his ties and she made spaghetti just the way he liked. But it wasn’t enough. Once he started working on movies he has various romantic flings with many Hollywood stars, like Judy Garland and Marilyn Monroe. But in 1943, he met Ava Gardner. And a few years later, in 1949, the two of them began their affair, and they weren’t even hiding it. At some point, Ava demanded that Frank leaves his wife. Nancy didn’t want to get a divorce, but she agreed to get divorced in 1951. And just a week later after they divorced, Sinatra married Ava Gardner. Their marriage lasted for six years. 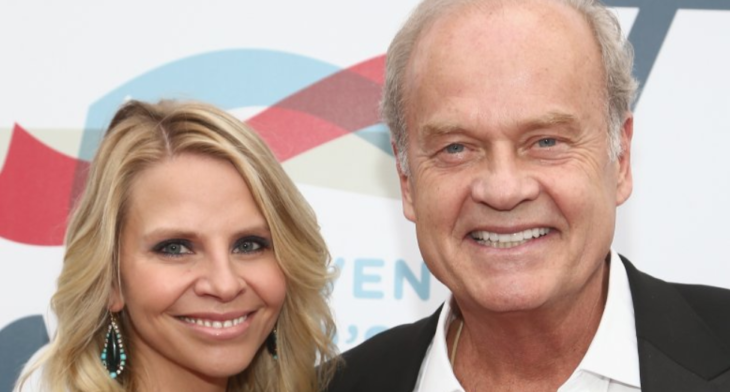 Kelsey Grammer met a flight attendant Kayte Walsh, on a flight to England in December of 2009, while he was married to Camille Grammer. That first night in England he started an affair with Kayte that lasted for six months. And while he was a part of that affair he ended his marriage with a text message, saying his wife that he doesn’t want to be married anymore. Like many others, he proposed Kayte while he was still married to Camille, in December 2010. Kelsey and Kayte married on 25th February 2011, just 15 days after his divorce. It took him almost one year to apologize to his ex-wife. He told in an interview that he was sorry for cheating and lying to Camille. Kayte also told in an interview that she is not happy nor proud of how they’ve started their relationship. And what most interesting is that Kayte made Kelsey tattoo her name on his pubic region. Mariah Carey was married to Nick Cannon, with whom she had two children, twins, Monroe and Moroccan. The couple decided to split in 2014, but they didn’t finalize their divorce till November 2016. In the meantime, the two of them were getting along incredibly. They were co-parenting their children, they’ve spent holidays together, and they were still looking like a happy family. For some, it may be bizarre, but it wasn’t for Nick Cannon. 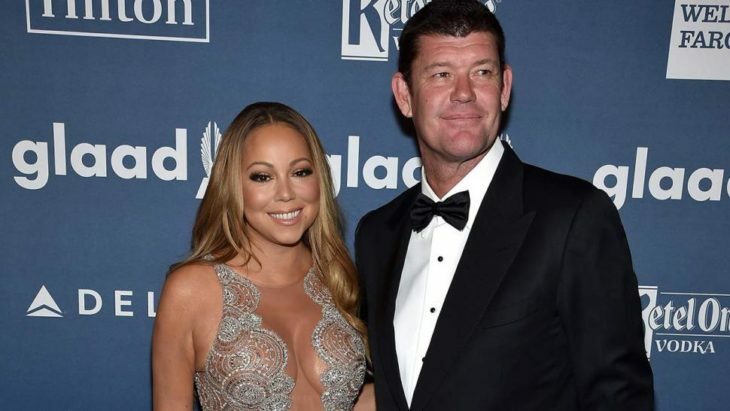 Mariah Carey started dating a businessman James Packer in June 2015, while she was still married to Nick. Nick didn’t mind that, and he even didn’t mind that she got engaged while she was still married to him. Mariah and James met at a movie premiere in Aspen in 2015, and James proposed to Mariah in January of 2016. She said yes to him, and sometime after that, she said that she could barely lift her arm up, from the weight of the 35-carat diamond engagement ring that she got from James. But, she never married James. They’ve ended their engagement just a few months later, in 2016. The funniest thing is that she broke the engagement even before she finalized her divorce from Nick.